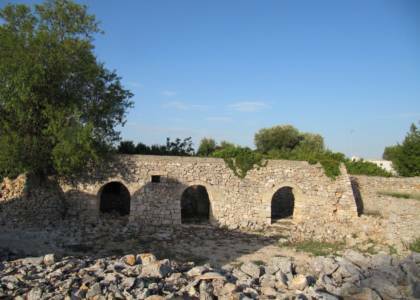 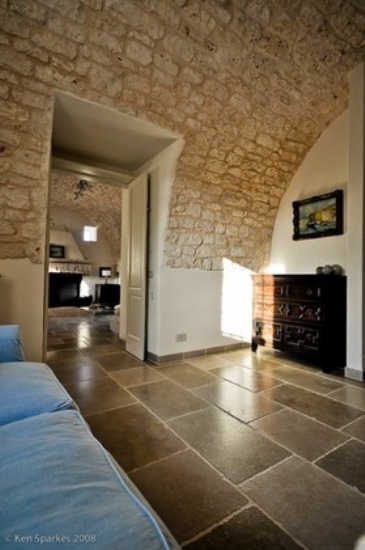 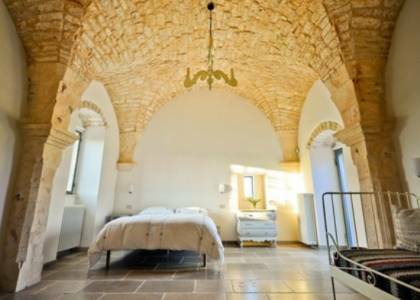 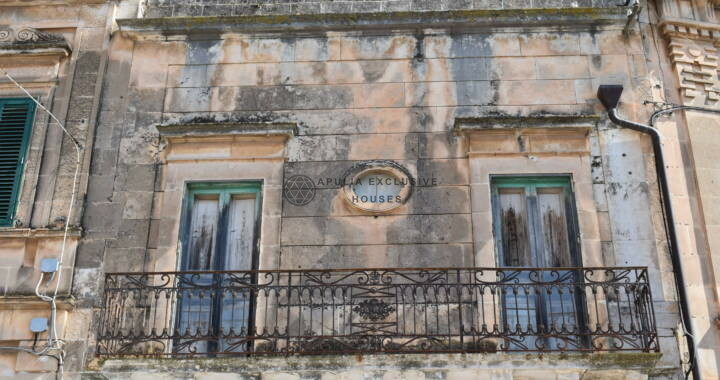 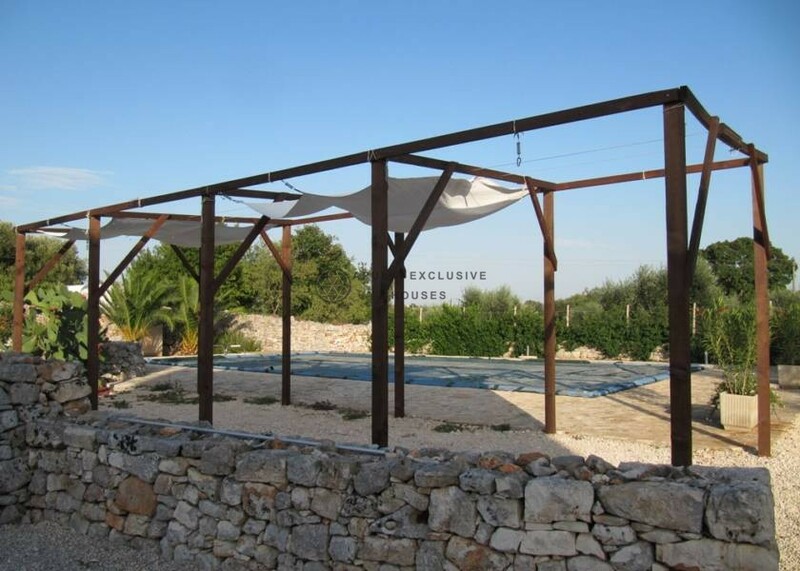 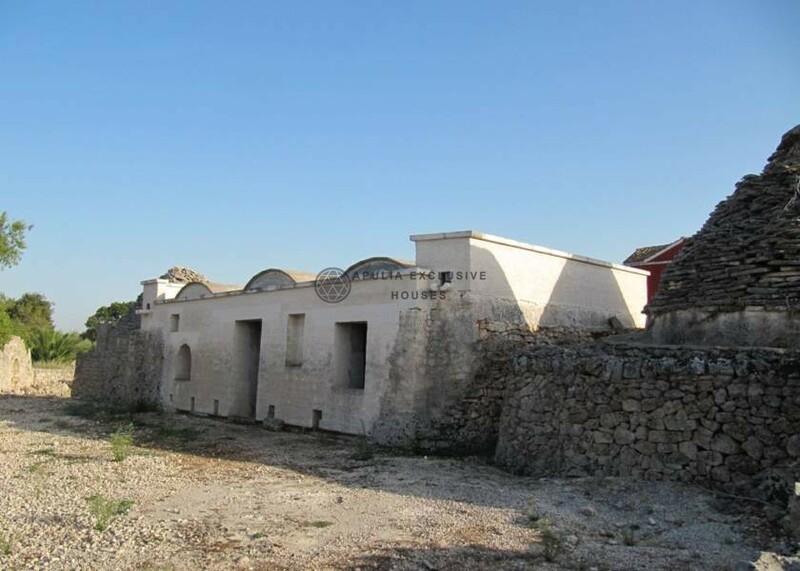 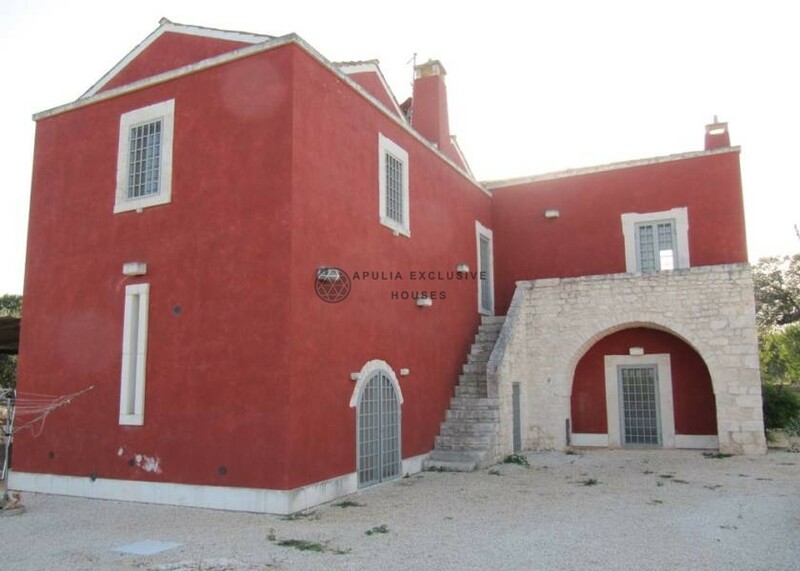 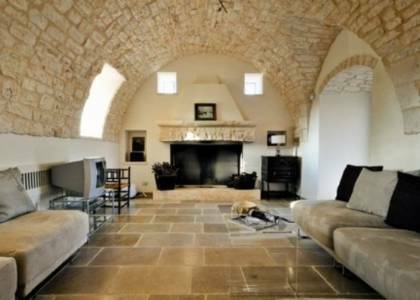 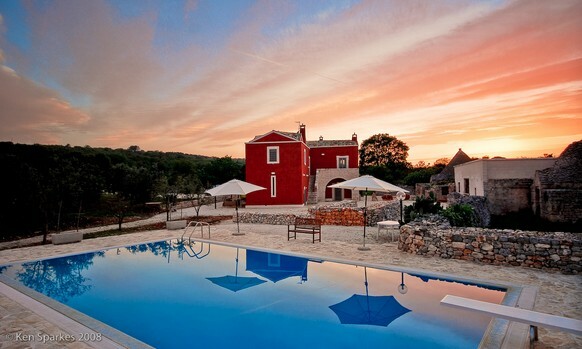 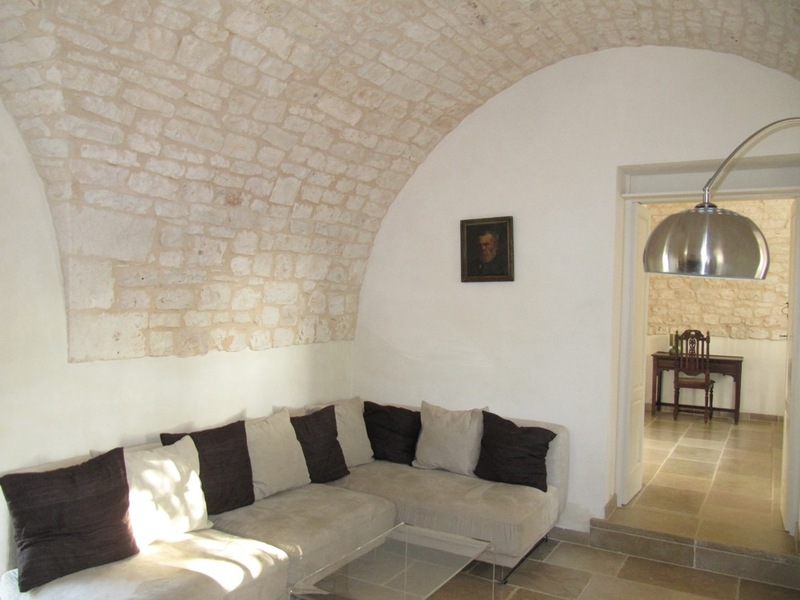 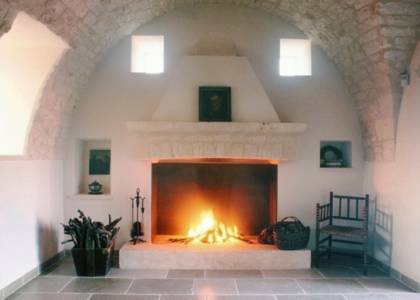 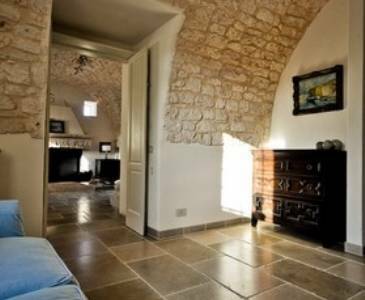 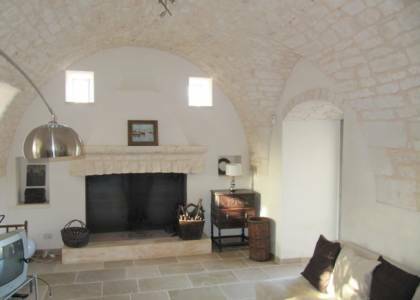 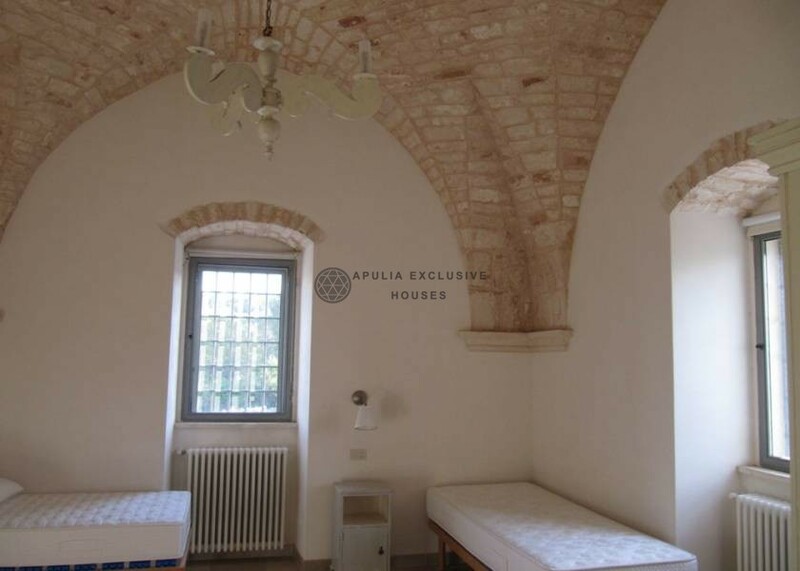 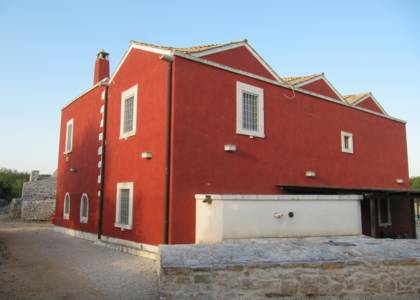 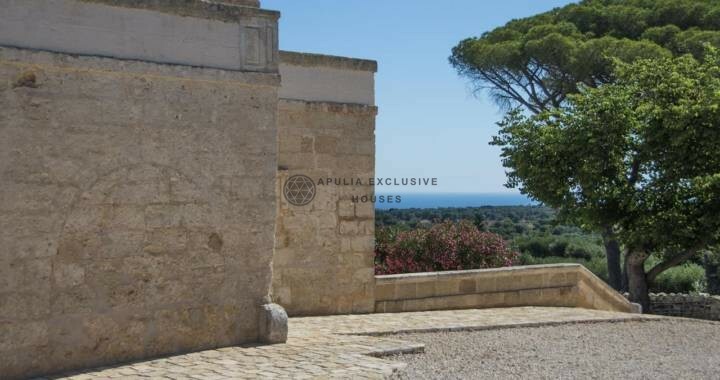 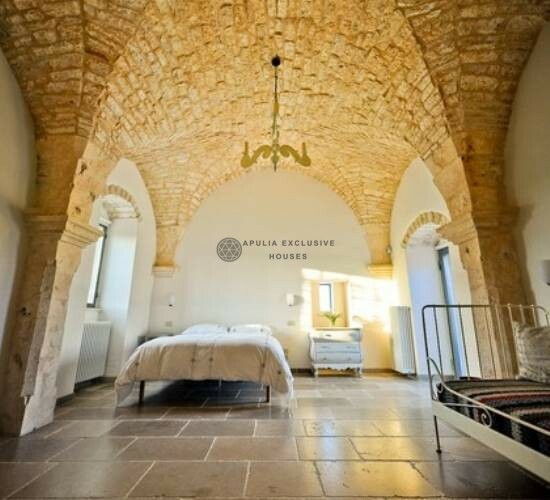 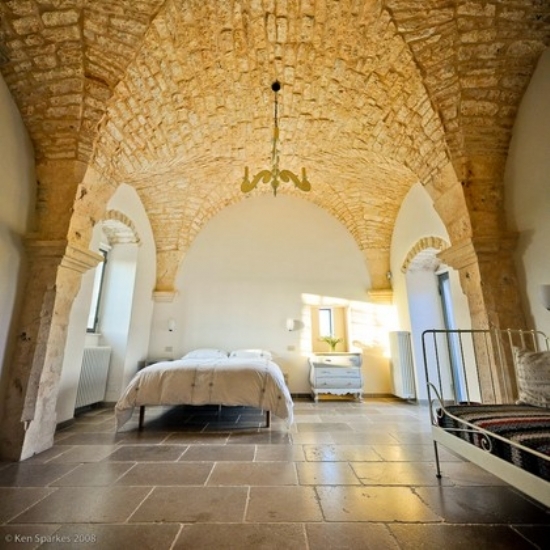 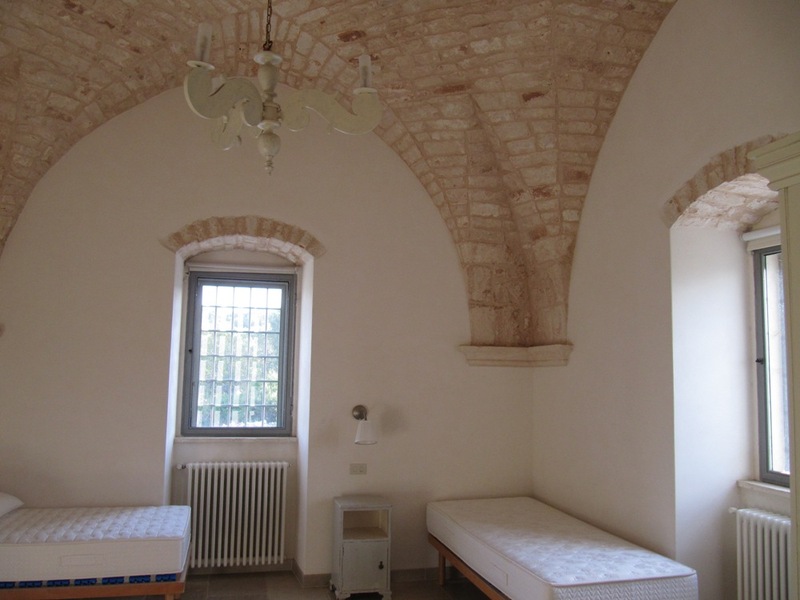 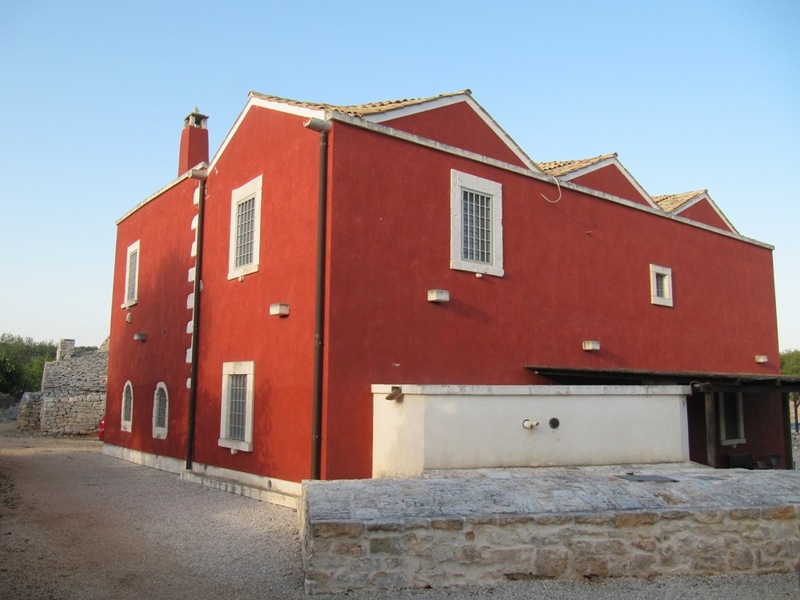 For sale in Ceglie Messapica’s countryside, ancient nineteenth century Masseria, finely restored with valuable materials. Starting from the building, it has a total of about 400 square meters. 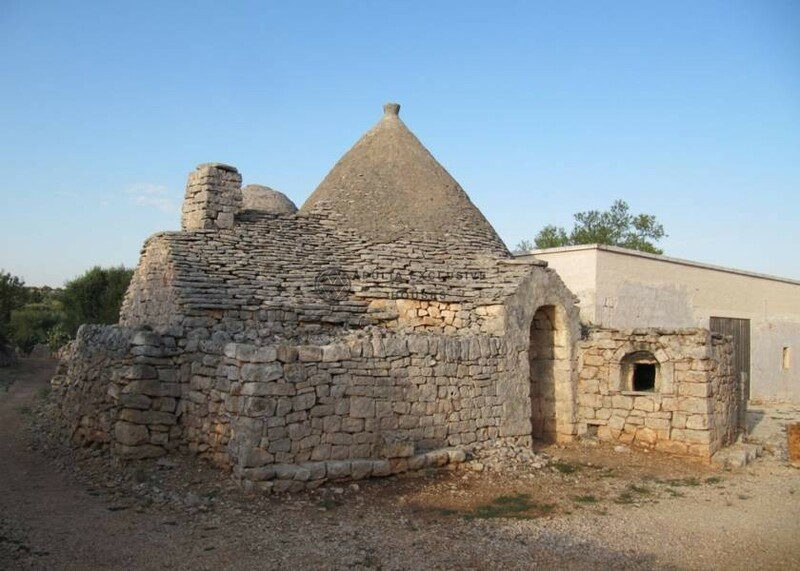 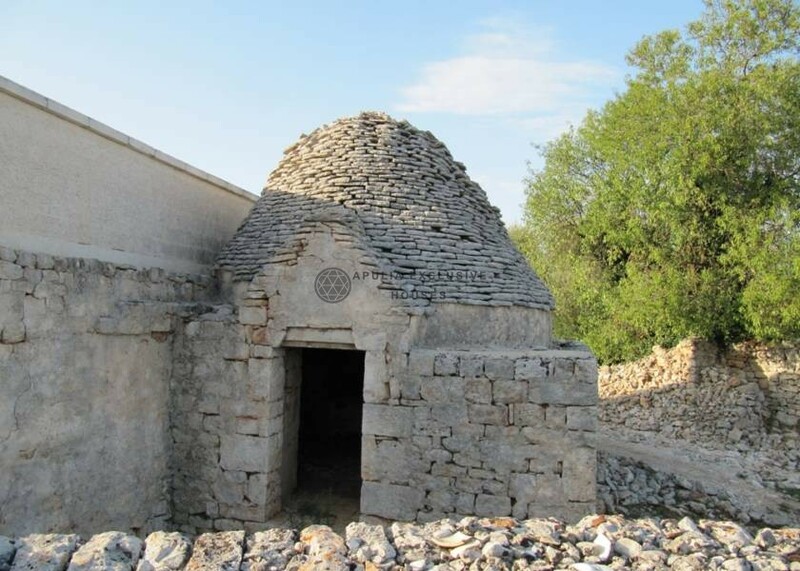 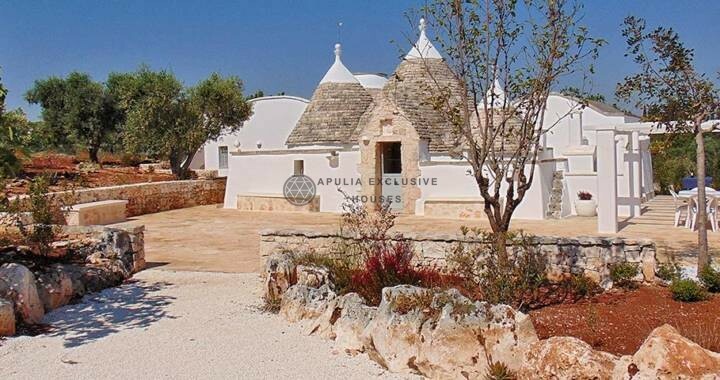 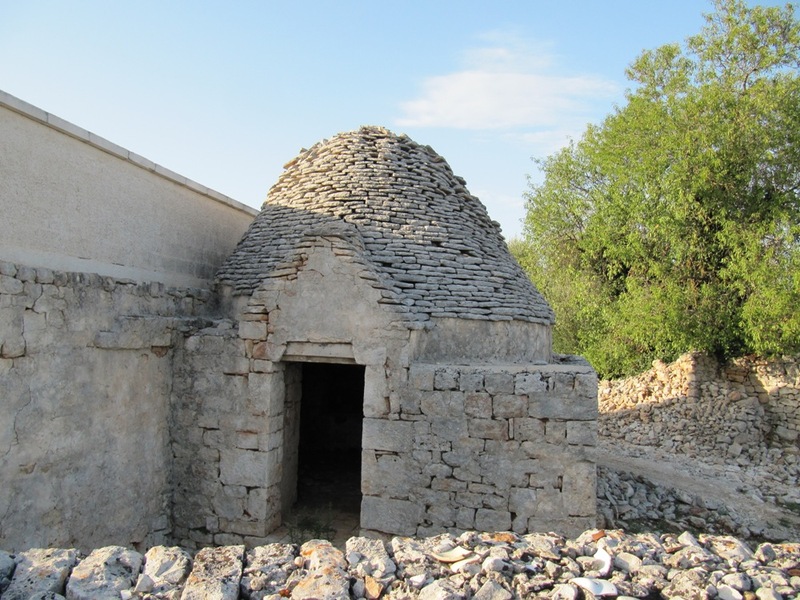 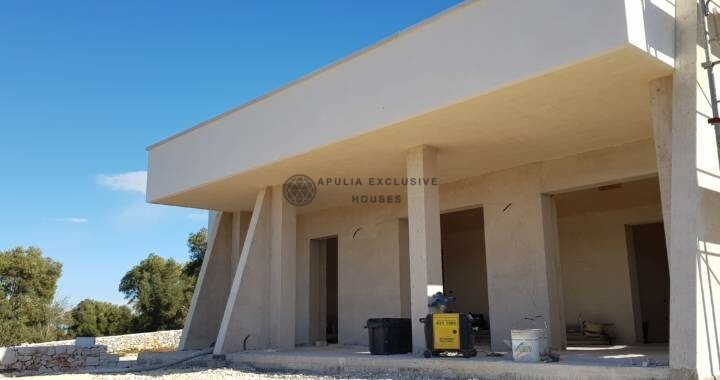 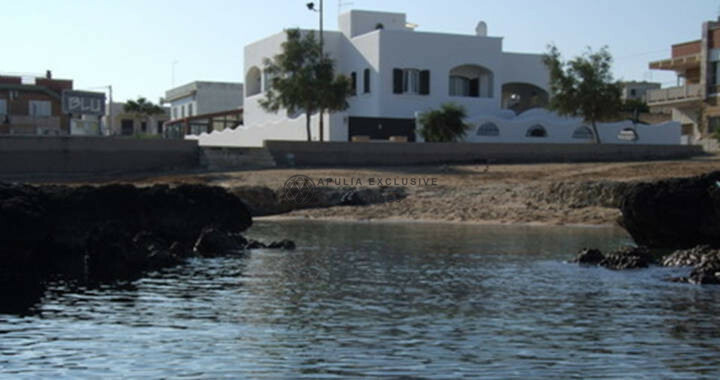 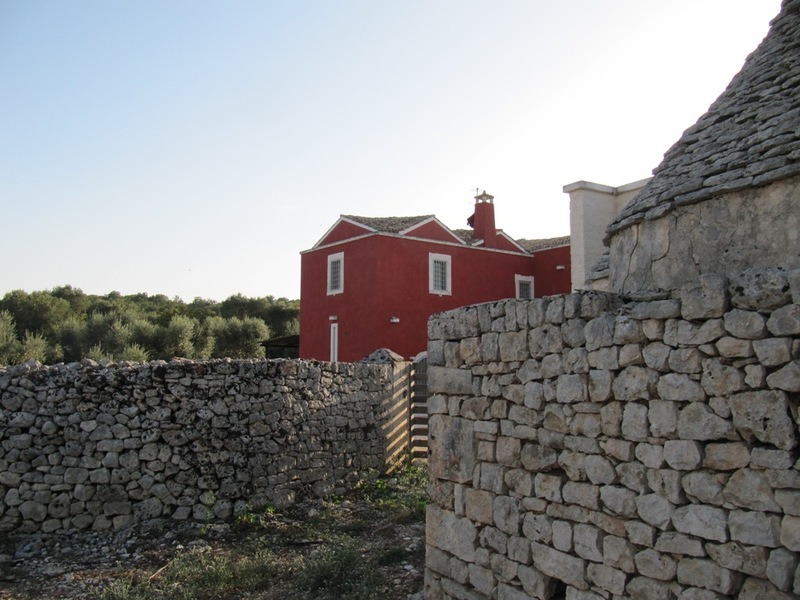 The main part is already restored and a part around the house needs to be restored, where there are trulli with a lamia entirely made of stone. 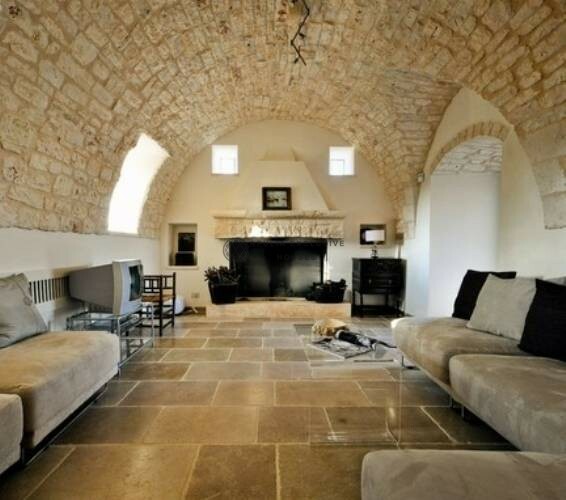 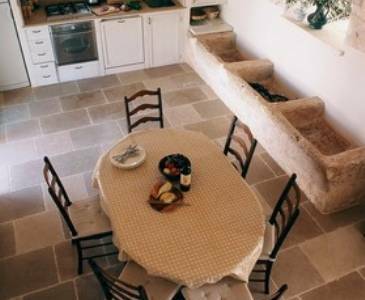 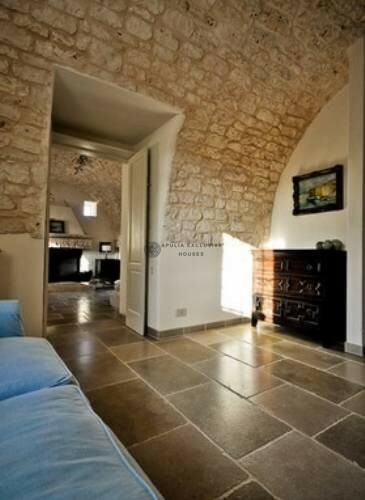 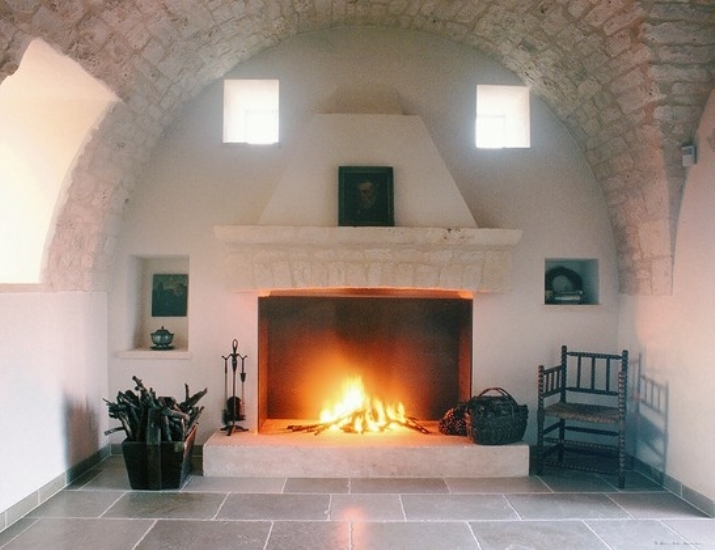 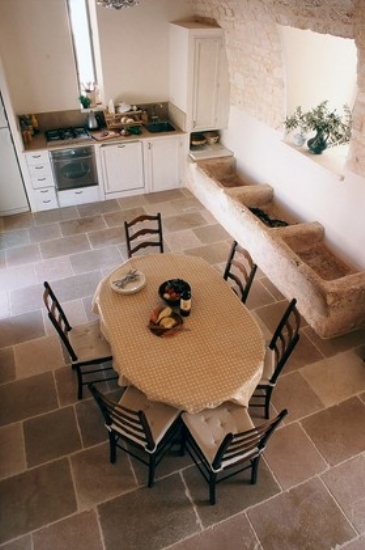 The Masseria is on two floors and is composed of: living room with fireplace, dining area, study, bathroom and laundry; on the first floor: three bedrooms and bathroom.The ceilings are with starve and barrel vaults entirely in stone and from each room you can see a panorama on the countryside with beautiful olive groves. 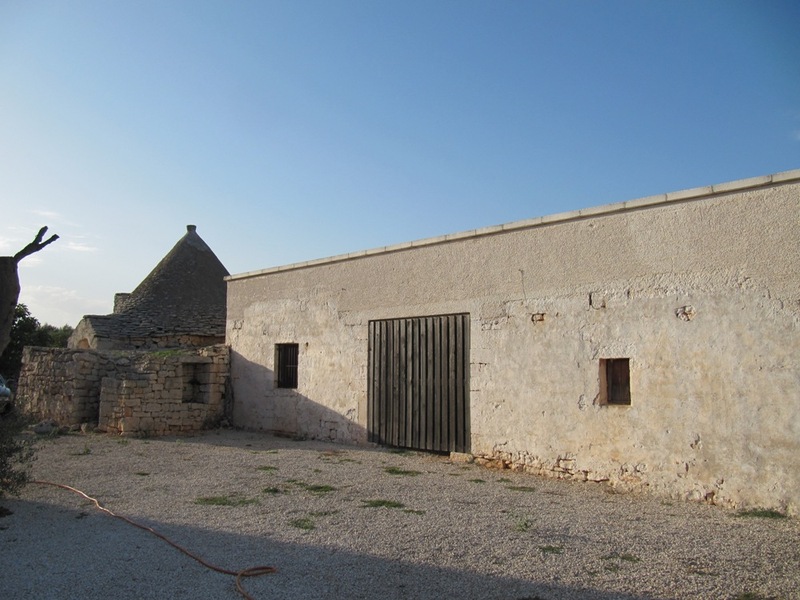 Few meter far from the Masserria there is a building to be restored, by which they can achieve a structure formed by large living area, kitchen, two bedrooms and two bathrooms, in addition to the trulli area consisting of three cones with a bathroom, a lamia entirely made of stone and outdoor courtyards . 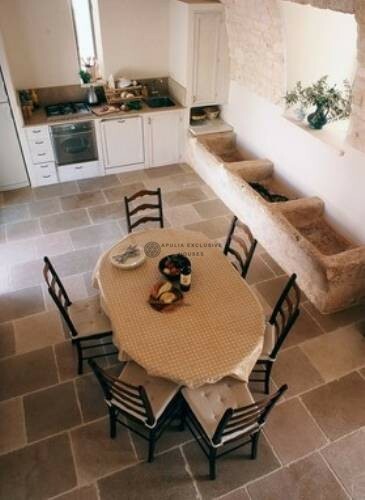 Particular are the old animal feeders that have been left as they were originally. 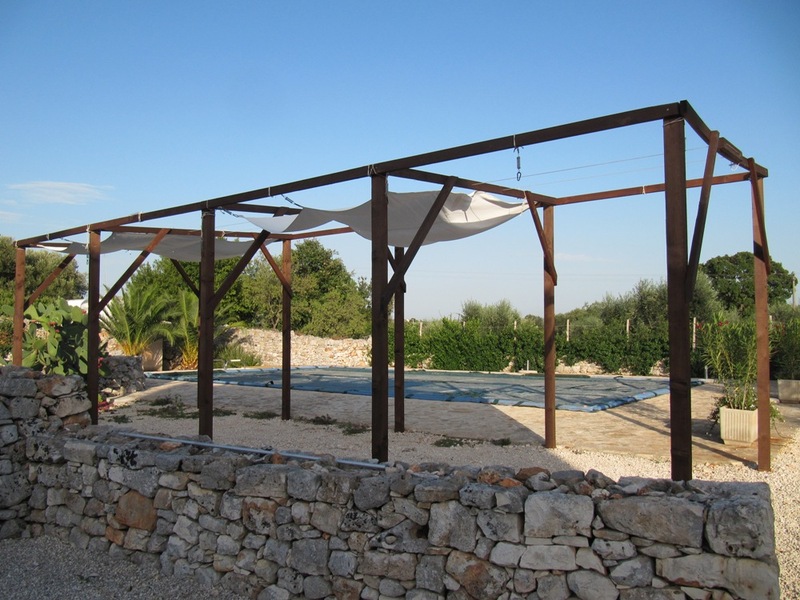 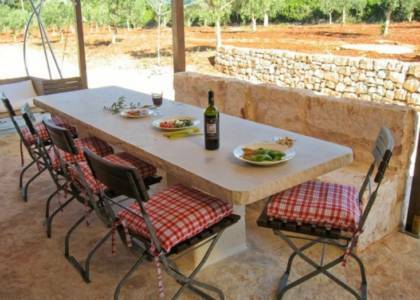 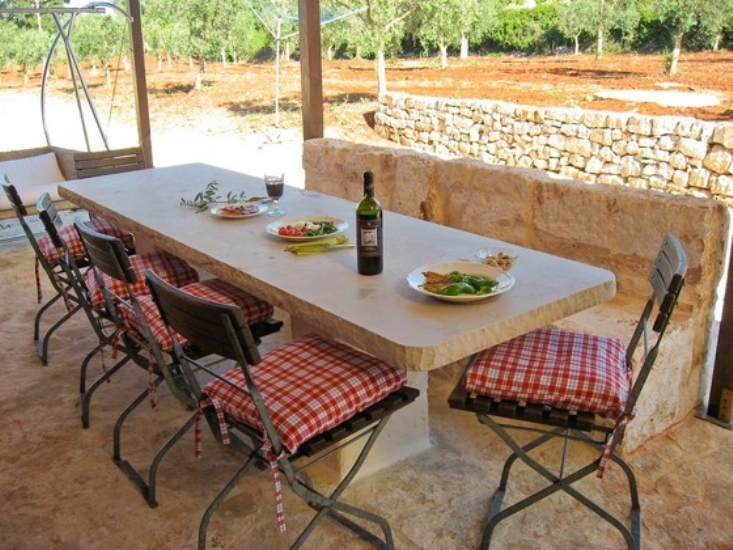 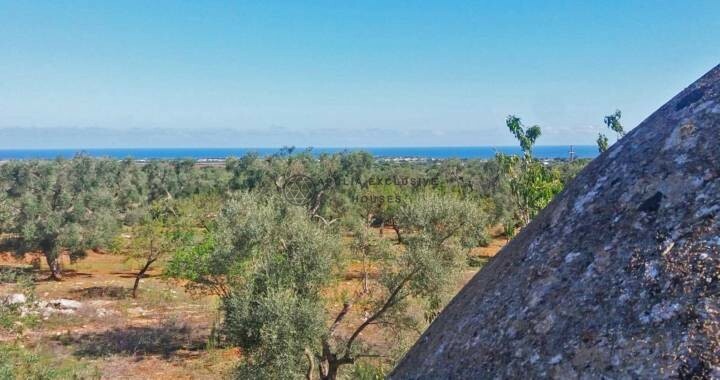 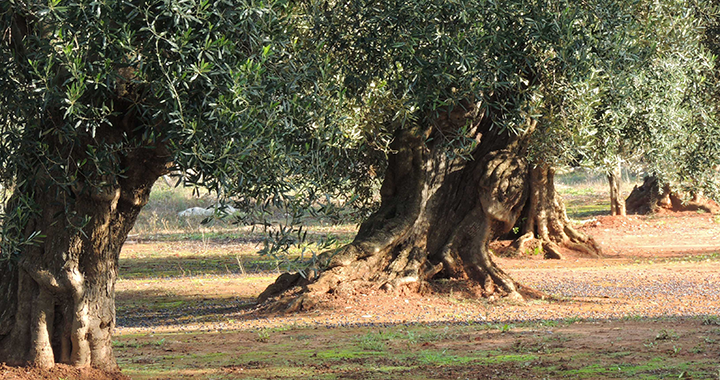 The land is about 17,000 square meters, cultivated with olive trees, almond trees and fruit. 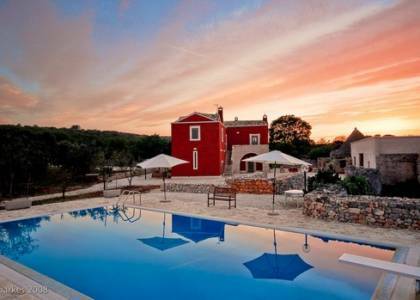 Immersed in the countryside there is a beautiful, well-groomed garden with a beautiful swimming pool. 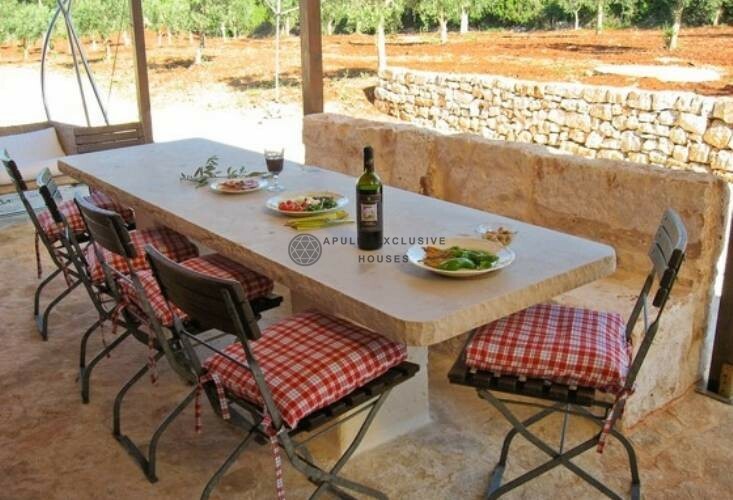 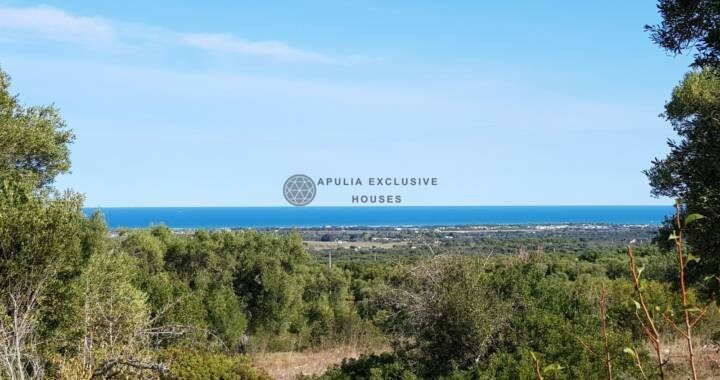 The property is located in a quiet and private area, ideal for both charming private residence and bed&breakfast activities in direct contact with nature.